This entry was posted in News from Mrs. Stadt on January 28, 2019 by rstadt. This week in writing, we asked ourselves “How Can I Teach My Reader?” We need to think about who our reader might be and think about the questions they might have about our topic. For example, if we were writing “All About Dogs,” chances are that we would be writing to someone who doesn’t know much about dogs. If one of my facts is Dogs chew bones. My reader might want to know “Why do they eat bone?” or “What kind of bones.” It’s our job as the authors of our books to think about the questions readers might have before we write and answer those questions before our reader has to ask those question. It looks like a very snowy week of weather ahead with some FREEZING cold temps! We are planning on a full week, but we’ll see if the the wintery weather gets in the way. 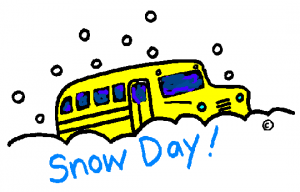 Remember to send your child to school with all their winter weather gear and maybe a sweatshirt in case they get cold in the classroom. TWIN DAY will take place sometime this week, but NOT MONDAY!! Originally, we were hoping to dress up with a group of friends on Monday, but we were unable to plan our outfits on Friday due to the Snow Day. Twin Day will happen after we have a day to plan at school – I will keep you posted on the exact date. Look for a page to come home in your child’s folder to see what outfit and accessories they have planned to wear. January 29 – Happy Birthday Olivia!!! Our class won a Jet’s Pizza Party for having the most participation at the last Jet’s Pizza Night. On Thursday, we will enjoy a pizza lunch together in our classroom. Your child will be able to have two slices. I will also supply a juice box, grapes, and Oreos. If your child doesn’t like pizza and would rather bring in a lunch from home or order a lunch from school that is no problem. We can’t wait!!! Thank you first grade families for supporting our school. Have fun working on your valentines!!! Winter Break is the perfect time to get this job done! :) When you finish, please send your child’s valentines into school in a bag labeled with your child’s name. I can store them here so they are ready for Valentine’s Day. Also, look for an e-mail later this week about our Zoo Field Trip in May. We were able to secure a date in the spring: Monday, May 20. We would love to have you join us!!! This entry was posted in News from Mrs. Stadt on January 27, 2019 by rstadt. We had a great 4.5 days back at school and have loved the lack of snow on the playground – we can get outside so quickly!!! We also really enjoyed starting up our tub time this week – ask your first grader about it and be sure to check out the photo stream for some pictures!!! Here’s to another great week!!! January 18 – Happy Birthday Tristan!!! This entry was posted in News from Mrs. Stadt on January 13, 2019 by rstadt. We spent some time this week reviewing our read to self routines in our new reading spots. The kids fell right back into the swing of our workshop. We began a new unit of study focused on nonfiction books. The kids are so excited to dig into this section of our classroom library. This past week, we read a nonfiction book all about owls. We practiced taking a sneak peek, figuring out tricky words, learning the meaning of new words, and noticing details in the pictures. It has been fun to see the kids getting excited to share their learning with the class. Welcome back, first grade families!! I hope that everyone had a wonderful break!! I am looking forward to seeing your first grader’s smiling face tomorrow. :) :) :) I also can’t wait to hear about your favorite adventures over break and share some of the fun that our family had too. We will be reviewing a lot of routines tomorrow, begin studying nonfiction books, get new reading spots and desk seats, and start morning tubs too!!! Bring on the learning!!! January 7 – Welcome Back!!! Students are dismissed from school at 12:15. Sack lunches can be ordered through Food Service and will be sent home with your child. Please make sure your child knows if he or she needs to order a sack lunch. Feel free to send me an e-mail so I know to order a lunch for your child. Library: Our check out day is on Monday. Please help your first grader find his/her library book and make sure that it is returned to school. Right now, our class can check out any books from the picture book section, nonfiction section, and chapter books now too. These books are just for fun and can be read with your child. Snacks: We eat snacks twice a day – one in the morning and one in the afternoon. Please send in two healthy snacks so that your child stays fueled for learning. Don’t forget a water bottle too! Recess: We go outside for a lunchtime and end of the day recess every day unless it is raining or the “feels like” temperature is below zero degrees. Please send your child to school with boots, hats, gloves, snow pants, and coats every day. Even if there isn’t snow on the ground, spending 30 minutes outside can get really chilly. Sweatshirts: Our classroom can be on the chilly side so if your child would like to bring a sweatshirt to keep in their locker or on the back of their chair, that would be no problem! Transportation Changes: If your child will be leaving school a different way than normal or if your child will be leaving early for an appointment, be sure to send a note in his or her blue folder or call the office to let us know of the changes before 3:00 pm. Take Home Books: Remember to return your child’s take home book back to school each day so he or she can choose a new one to bring home. The kids take care of this job each morning. If you notice that your child isn’t bringing a new book home, send me an e-mail and I can send home a new bag. This entry was posted in News from Mrs. Stadt on January 6, 2019 by rstadt.